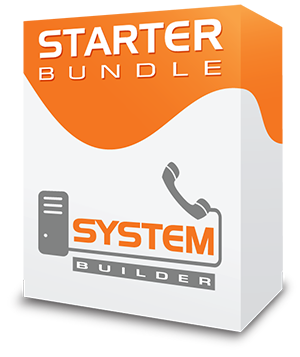 The FreePBX Starter Bundle comes with many of the most popular commercial modules. 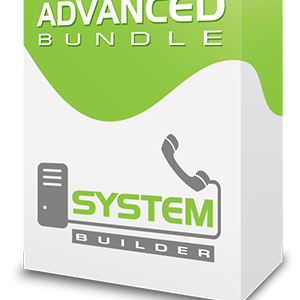 This commercial module bundle includes the basic add-ons that you need to really enhance your FreePBX server. Sys Admin Pro gives you a ton of admin tools for managing your FreePBX including easy management of system emails, a dynamic DNS service for your server, back-end update management, and VPN capabilities. If you need to be able to VPN to your server, then you must have this module! Extension Routing is used for assigning phone permissions to outbound routes. For instance, if you are running multiple companies within your FreePBX, you may want some phones dialing out as one caller ID, and other phones dialing out as a different caller ID. You can also use it to restrict routes such as International dialing. Park Pro expands on the built-in Call Parking functionality by adding the ability to create multiple parking lot groups (great for running multiple companies who want their own call parking systems). Paging Pro expands on the built-in paging functionality and adds valet functionality plus the ability to do multicast paging (a must for any system that needs to page more than 10 phones at once). Conference Pro allows end users to manage conference room settings from the user control panel. Admin users can also easily create conference room IVR’s and choose which conference rooms are a part of the conference room IVR. Fax Pro is a reliable, robust inbound/outbound faxing server. You simply enable faxing for any user on the system; then you point a phone number to specific fax user and let us answer the fax call.